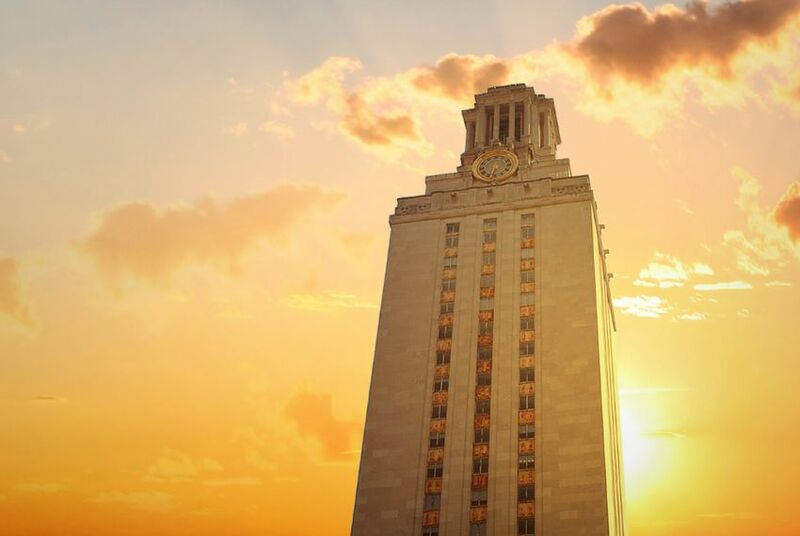 It just got a little harder to get into the University of Texas at Austin. The top-ranked public university in the state announced Friday that students hoping to enroll as undergraduates in the fall of 2019 will need to be in the top 6 percent of their Texas high school's graduating class if they hope to gain automatic admission. The current automatic cutoff is 7 percent. The change is the result of the growing number of applicants UT-Austin receives each year, school officials said. State law requires UT-Austin to provide automatic admission to students near the top of their high school class, but allows them to cap their automatic admittees at three-fourths of each freshman class. The remaining quarter is admitted through a holistic process, which takes into account grades, standardized test scores, race and extracurricular activities. UT-Austin has tried to keep its enrollment relatively flat in recent years. But the number of applications has grown from 38,000 in 2013 to 51,000 in 2017. The school's automatic admissions rules are imposed by the state in an effort to maintain diversity at Texas universities. After a court ruling temporarily banned affirmative action in the state in the 1990s, lawmakers passed what is known as the Top 10 Percent Rule, which required all public universities to admit all Texans that graduated in the top 10 percent their high school's class. The rules for UT-Austin are adjusted each year to allow it to avoid being overwhelmed with automatic admittees. The thinking behind the law is that Texas high schools are racially and economically divided. If a university admits the same number of students from poorer schools as it does from wealthier ones, it's more likely to end up with a diverse class. UT-Austin has grown frustrated with the rule, however, saying that it limits flexibility in how builds its freshman classes. Parents and students from more competitive schools also dislike it because they say it's harder to get into the top 10 percent of their high schools. But minority lawmakers fiercely defend it, saying it levels the playing field for students in their districts. An attempt in the Texas Legislature to repeal the rule fizzled out earlier this year. Last year, UT-Austin's student body was 43 percent white, 20 percent Hispanic, 18 percent Asian and 4 percent black. A majority of Texas schoolchildren are Hispanic. Has the Top 10 Percent Rule impacted diversity at UT-Austin? It's complicated.